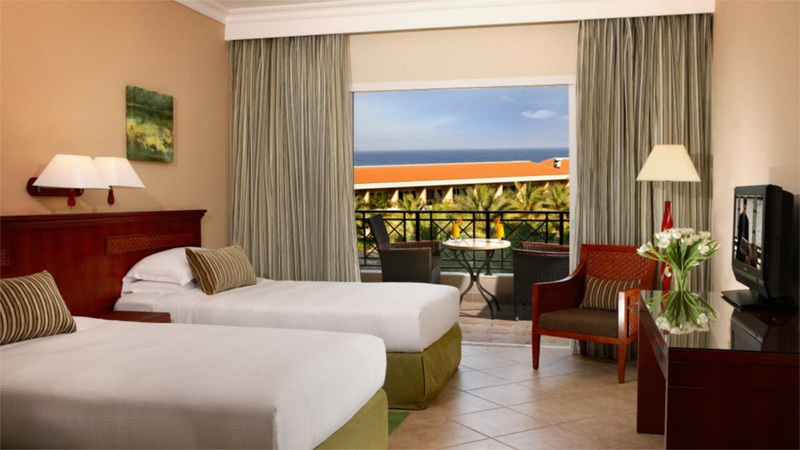 Situated on the pristine shores of Al Aqah Beach in front of the majestic Hajar Mountain range and overlooking the azure Indian Ocean, Fujairah Rotana Resort is perfect for upscale holidays celebrating the luxuries of the UAE. Held in high accolade and receiving a World Luxury Hotels Award, it’s the place where dream breaks filled with blissful tranquillity balance with refreshing activities and leisure time. 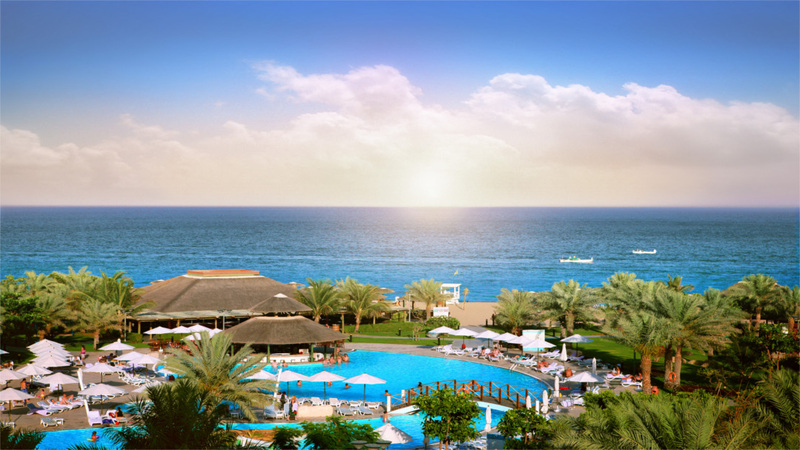 Fujairah Rotana Resort and Spa is superb at delivering fantastic breaks for children and adults offering a host of kids’ fun and activities via Flipper Club with adult’s relaxation in the heavenly Zen Spa. Tennis and golf, outdoor swimming pools and water sports plus the private beach and fitness club, after which, retiring to one of 250 plush rooms or suites to refresh will be the perfect accompaniment. 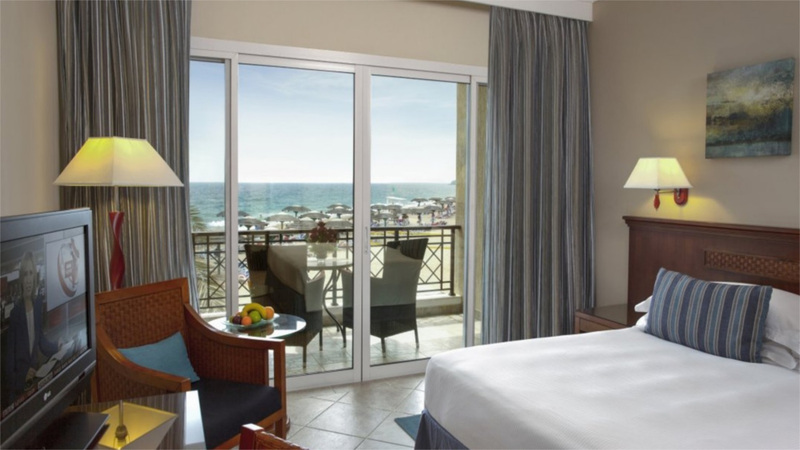 Fujairah Rotana Resort and Spa is located directly on Al Aqah Beach. This impressive resort has numerous restaurants, bars and 5-star leisure facilities onsite for a memorable holiday in Fujairah. For those wishing to explore, the Hajar Mountains are close by with numerous outdoor activities, plus the area’s fascinating heritage sites are within easy reach. 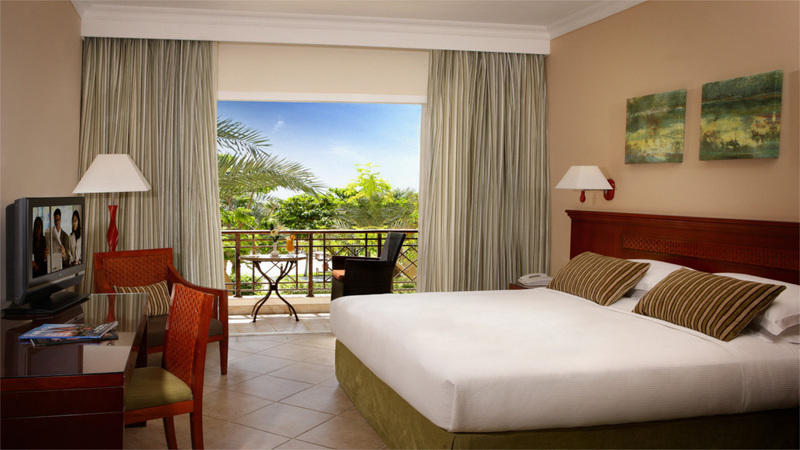 Ras Al Khaimah International Airport is approximately 70km from Fujairah Rotana Resort and Spa. Dubai International Airport is about 1 hour and 45 minutes away by car, while Abu Dhabi Airport is just under 3 hours. 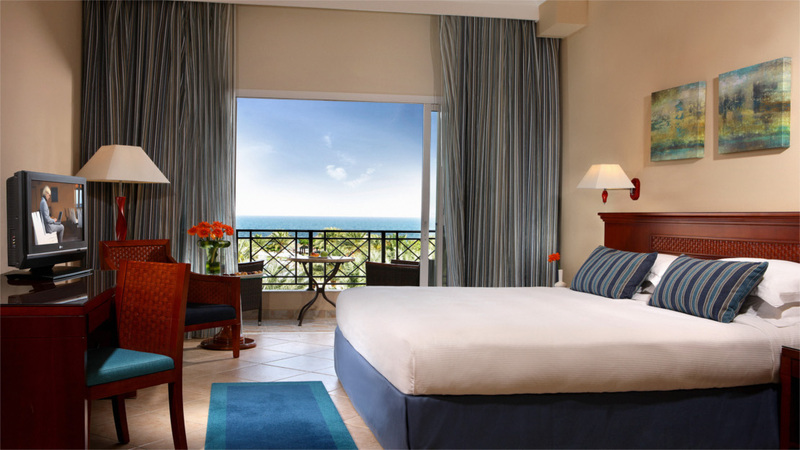 A superb array of services and facilities awaits guests at Fujairah Rotana Resort and Spa. There’s all manner of entertainment during the day and night that will appeal to young and old making the resort an ideal choice for families. 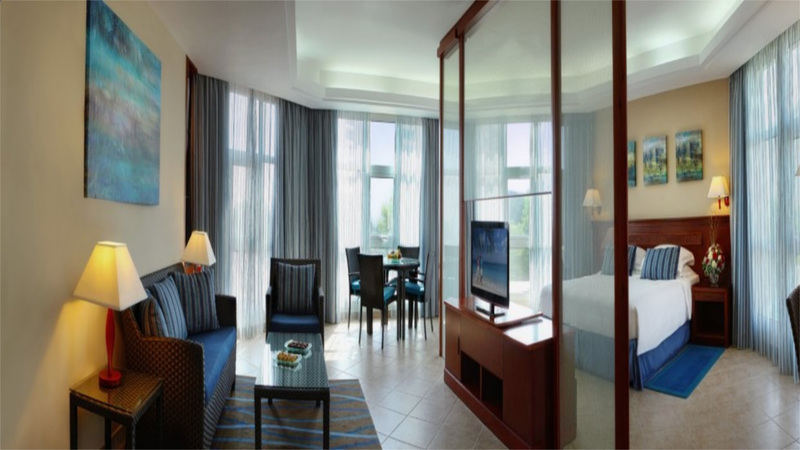 If you choose to go all inclusive at Fujairah Rotana Resort and Spa, the package consists of breakfast, lunch and dinner. There's a dine around option and drinks are available from the bar throughout the day, including beer, wine, water and soft drinks. Please note that details are subject to change. 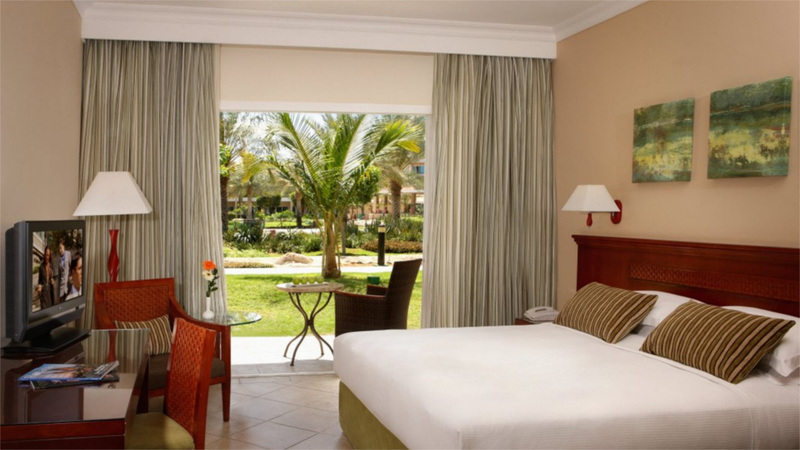 You will be provided with full details of the all-inclusive programme on arrival at the hotel. A world of fusion, tantalising flavours and innovative recipes combine with traditional classics and more in the restaurants and eateries of Fujairah Rotana Resort and Spa. A chic and stylish venue, guests of Waves enjoy fabulous panoramic views beachside as they dine on a la carte menus of fresh fish and more. International cuisine is served throughout the day at this casual and refined venue. This is a contemporary bar venue serving food and a variety of beverages indoors or alfresco throughout the evening. Live entertainment and a cigar bar complement the experience. This is a sunken pool bar surrounded by water fountains and lush tropical gardens where a variety of tropical cocktails and juices can be enjoyed. This is a charming café lounge situated in the main lobby of the resort.